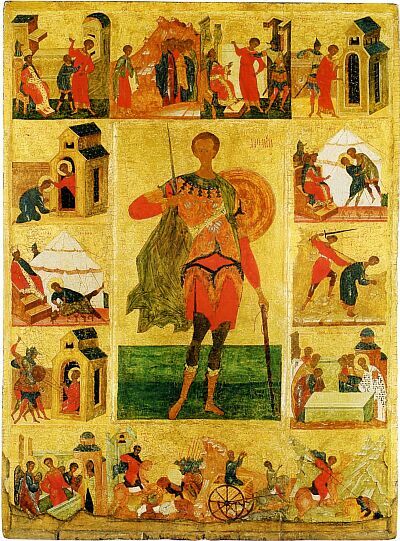 The icon of Saint Demetrius of Thessalonica from Pokrov (Intercession) Church in Gumenets village. Early XVI century. 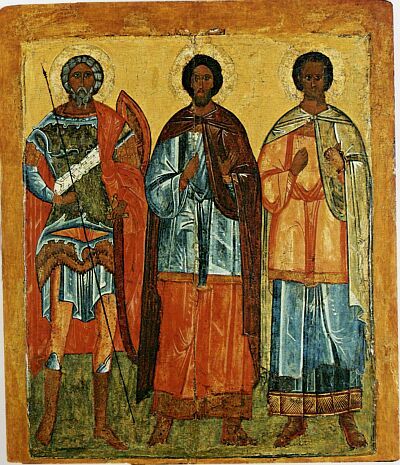 State Museum-Reserve "Rostov Kremlin"
Saints Andrew Stratelates, Florus and Laurus. XVI century. State Museum-Reserve "Rostov Kremlin"
Saint Christopher. The icon from Assumption Church from Bogorodskoe village (Lyubimov uyezd of Yaroslav province). First half of XVII century.